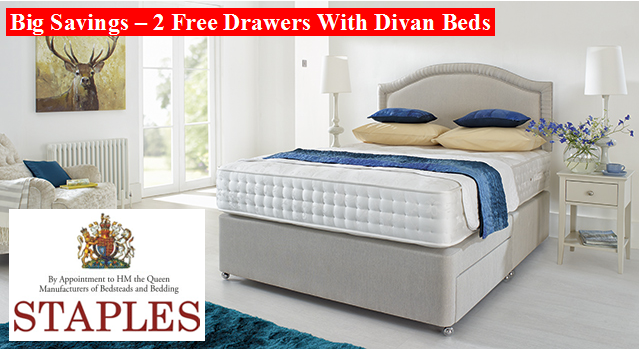 Harrison Beds Promotion – 2 Free Divan Drawers! Harrison Beds are a new arrival here at Dalzells but they’re certainly no stranger to the discerning bed shopper. 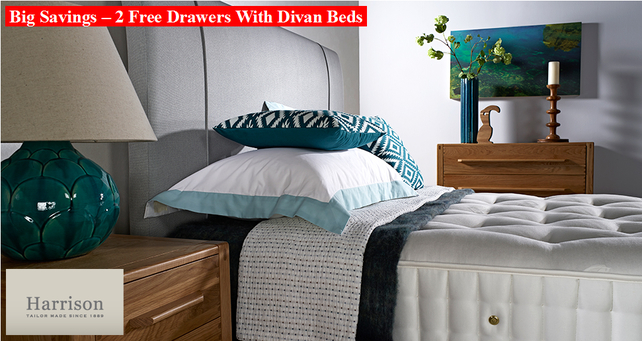 The heritage and craftsmanship of these outstanding Divan Beds and Mattresses are almost without rival. This entry was posted in Bed Types, Brands, Divan Beds, Harrison Beds, Promotions and tagged Promotions on March 13, 2015 by Sharon Dalzell - (Beds Expert). Myers Beds have been a particular favourite with shoppers here at Dalzells for many years, offering exceptional value and pillows full of that most important commodity, restful sleep! This entry was posted in Bed Storage, Bed Types, Divan Beds, Promotions, Staples Beds and tagged Promotions on February 24, 2015 by Sharon Dalzell - (Beds Expert). Here at Dalzells we stock a wide selection of Staples Beds and they’ve been hugely popular with our customers for many a year. 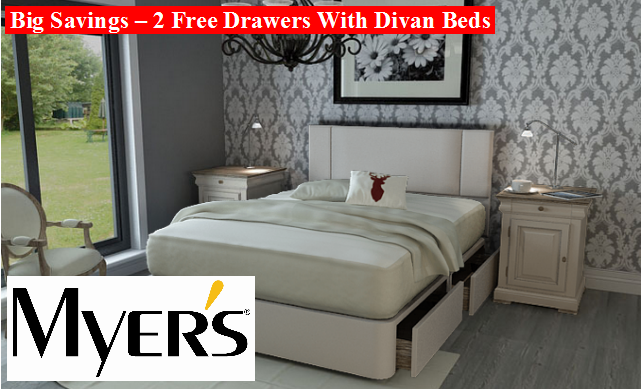 Free Pillow Set Promotion – With Any Divan Bed Or Mattress! Purchase Any Divan Bed Or Mattress from us at Dalzells until further notice and you’ll receive a complimentary set of Pownall & Hampson Bedroom Couture Pillows! This entry was posted in Pillows, Promotions and tagged Promotions on July 18, 2014 by Sharon Dalzell - (Beds Expert).